A brand new attraction has now opened at the South West’s Largest Family Theme Park. 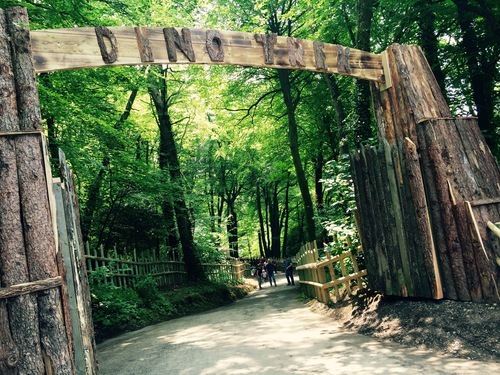 This weekend saw Woodlands Family Theme Park near Dartmouth open the gates to its new attraction for 2016, Dino Trek! Dino Trek, is an exciting new attraction which takes guests on a expedition through a world more than 160 million years ago. Guests to the park get the chance to get up close to see a wide variety of dinosaurs ready to ROAR as you trek by them. The brand new attraction launched for May Half-Term and is the first of 2 new attractions coming this year. 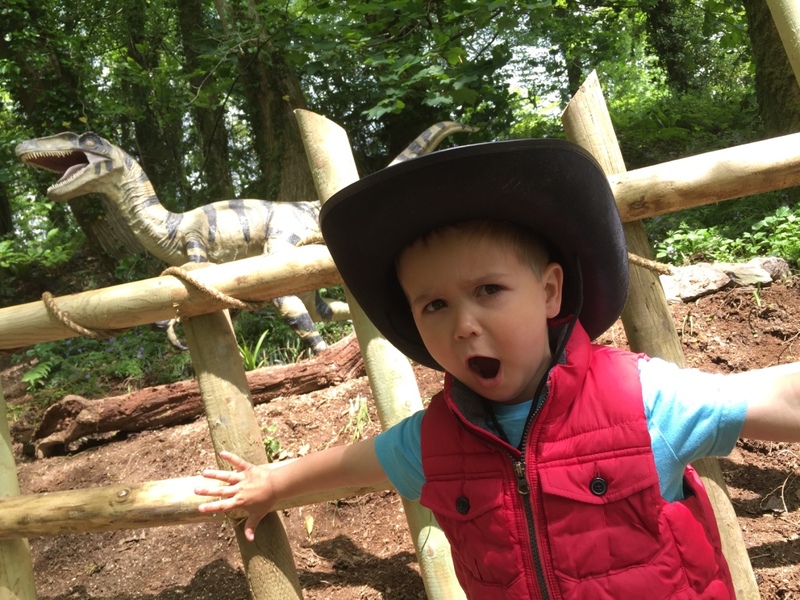 Spiros Spozitos, Marketing Manager of Woodlands Family Theme Park said “it is such an exciting attraction, all the team at Woodlands have worked very hard trying to make sure we provide a dinosaur experience like no other”. “Interest has been sky high during the development stages and has only grown since then. After the first day of opening the attraction was filled with Dinosaur fans, it’s definitely going to be a popular attraction with our guests this year”. Dino Trek gives you the opportunity to meet all your favourite dinosaurs from the humongous T-Rex to the dexterous Velociraptors and the mesmerising Stegosaurus. Woodlands are holding the Grand Opening featuring a life sized baby T.Rex who will be roaming around the park causing mischief in the new attraction on May 31st. 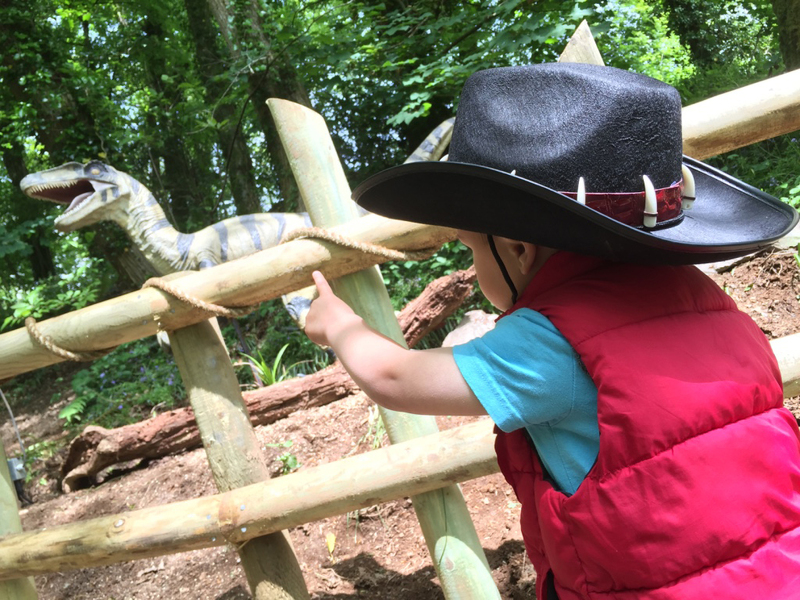 To celebrate Dino-Week and the new attraction Dino Trek Woodlands are putting on lots of special events throughout the week and giving children who dress up as dinosaurs, explorers or palaeontologists a free child return ticket to come back to Woodlands. Terms and conditions do apply so please check their website www.woodlandspark.com for more details. Spiros Spozitos continued “We are expecting more surprises in Dino Trek as the year goes on and with another new attraction opening later in the year, 2016 is going to be a fantastic year for Woodlands Family Theme Park. 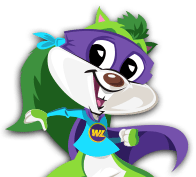 With over 100 acres of fun and attractions, Woodlands Family Theme Park provides the perfect family all weather day out. Families can save up to 20% off entrance tickets by booking online and all the events and rides are included in the entrance price. For more information on Woodlands and Dino Week call reception now. Meet Zula the baby barn owl!